Hi everyone!!! If you're reading this blog, chances are you're a huge fan of urban fantasy and paranormal romance. Luckily for you... there a con for that! 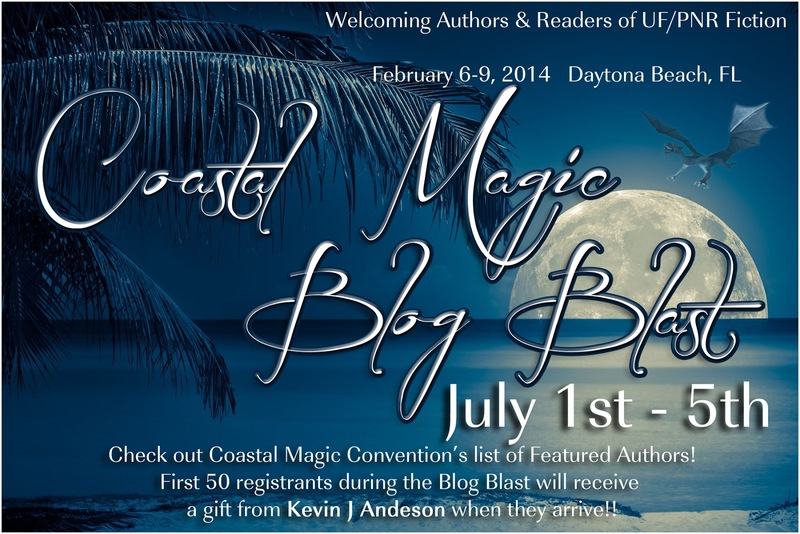 This week, Coastal Magic Convention is opening public registration for next year's weekend of awesome with authors and readers of UF/PNR fiction. February 6-9, in Daytona Beach, FL, we'll be hanging out, chatting, and participating in general tomfoolery with some fantastic people. The Featured Authors are names that you'll recognize immediately (random sqeeing is permitted, although tacklehugs must be announced and approved prior to the weekend), and some are bound to become new favorites. Plus many many many more!!! Join us for panels, meet & greets, bad movie snarking, and all around fun times. Registration is only $70 for the weekend's full schedule of panels, meet & greets, large author signing, and Character Mixer. There are a few special activities that will require additional tickets. These activities are limited in number, and are very reasonably priced. 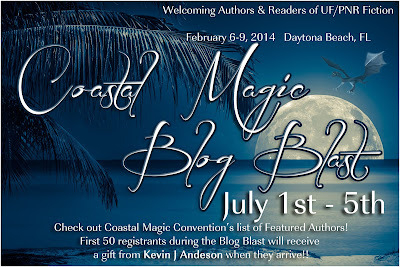 More details are available on the Coastal Magic Convention website. Last year's inaugural event (Olde City, New Blood in St. Augustine, FL) was a blast. I'm confident that this year's party will be even more fun!! and get yourself registered for a fantastic weekend with friends and storytellers. Added bonus?? We'll be in FLORIDA... by the beach... in FEBRUARY!!! I'd call that a win on many levels, lol!! What an awesome lineup! Why must I live in California?! ?